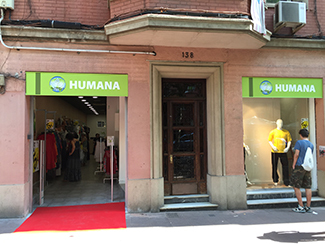 Humana is opening today a new store in Barcelona, in 138, Fabra i Puig Street; last week the Foundaion opened a new store in Madrid. 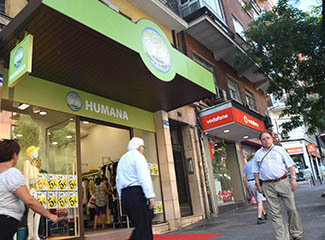 The new second hand store is located close to Plaza de Toros de las Ventas. The opening hours are Monday to Saturday from 10-21 hours and on Sundays and holidays from 12 to 20 hours. Since 1987 we developed a specialized preparation for reuse model. We promote thus the second life of the garment as a pillar of sustainable fashion. Our network of stores is essential in this work pulse reuse. The Foundation now has 35 stores in Spain: 17 in Madrid, 14 in Barcelona, two in Seville and 2 in Granada. Next week is scheduled more than one place in Barcelona on Fabra i Puig, 138.